Took me a while to find the last episode the game kept on saying coming soon for Episode 5 & a search for Walking Dead on the console store could not find the latest episode. In the end I had to use the laptop to use the web storefront and add the latest episode to download. No spoilers on the ending but I have no idea how Season 3 is going to start with the very different endings you can play out. I'll most likely will end up jumping platform again, going to the PS4 for Season 3 so not sure how the save file can be moved over? Will probably have to roll the start a few times to get the season 2 ending I want. I don't think I will be returning to Zelda Wind Waker (possible Shredder) anytime soon with Destiny arriving next week. 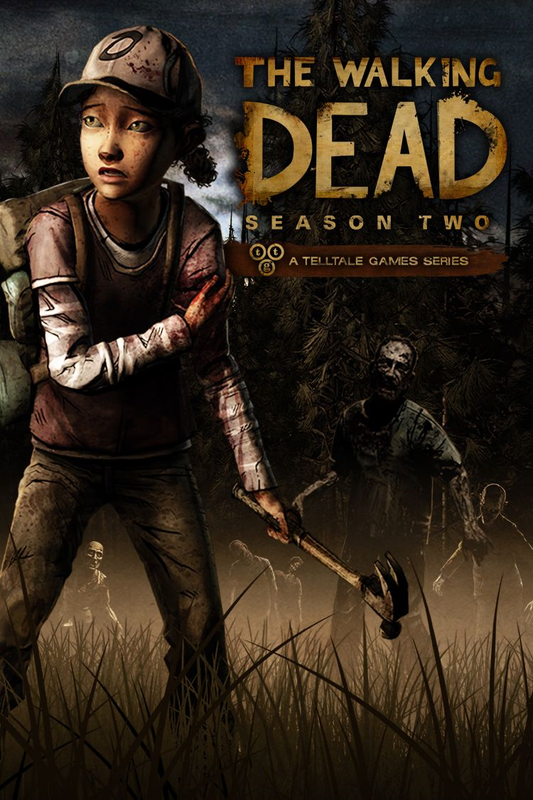 I played the first series on the Xbox 360 but thanks to a recent Playstation store sale I purchased season 2 on the PS3. I did think about my season 1 save on the 360 but what the hell at less than a fiver I could not complain. The first three episodes have already been released so I downloaded these to enjoy over a few evenings last week. The story continues with Clementine now a little bit older & stronger. I won't spoil the story but just to say that the first episode quickly introduces you to a new group of characters that will accompany Clementine through the challenges the zombie apocalypse throw at her. It is the same great story-telling that Telltale are now becoming masters of producing. Episode 4 is due for release during July. 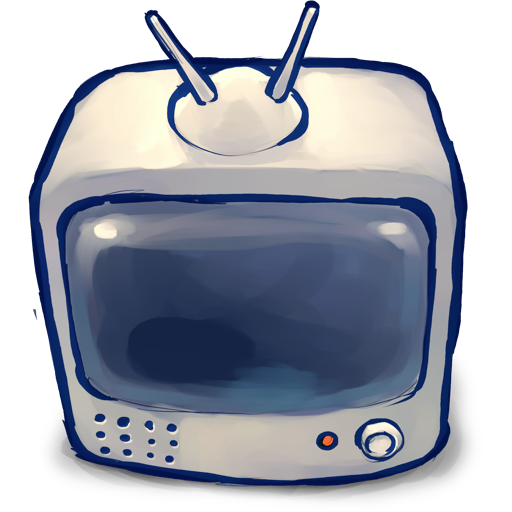 TV – What I’m watching? Doctor Who - Hoping Capaldi takes the role into a more serious note. Sherlock - The new series with Benedict Cumberbatch is must watch TV. Hell on Wheels - Western series about the construction of the US railroad. Game of Thrones - Dragons, Wars & the White Walkers are coming !! Mentalist - Jane is a psychic and after getting revenge on Red John he has now joined the FBI. Sons of Anarchy - The trials & tribulations of a motorcycle club in the town of Charming. Justified - Starring Timothy Olyphant who done a great job on Deadwood plays the part of a Kentucky sheriff. Walking Dead - Zombies, zombies & more zombies !! Arrow - Superhero shooting um ... arrows? Big Bang Theory - The best comedy show since The IT Crowd. Grimm - Just started watching this recently it's about supernatural beings and an investigate cop who can see them. Revolution - Annoyingly has been cancelled after Season 2, I've watched Season 1 so will continue watching. Rectify - After spending years on death row, Daniel is let out & returns to his hometown. This is really good the first series was only six episodes but I enjoyed it. I've watched a lot of tv series over the years Breaking Bad & Deadwood were amazing, Lost I got um lost..? Fawlty Towers & IT Crowd are brilliantly funny but nothing annoys me more than when the US TV networks don't renew a series I am enjoying like Revolution, Jericho, Pushing Daisies, Terminator Sarah Connor Chronicles, Stargate Universe & of course X-Files. This is why I usually never watch a new TV series until I know it has been renewed for Season 2. I wish the US networks would give a show they want to cancel a six episode final season run to tie up loose ends. 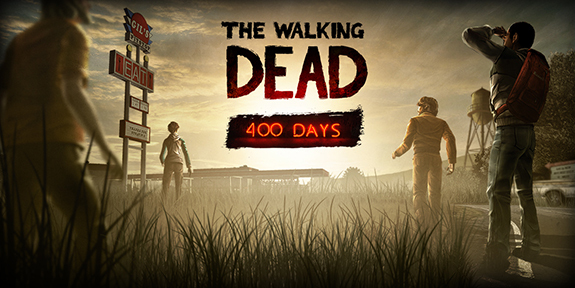 I thoroughly enjoyed the Walking Dead Season 1 (So much so that it went into my Top32), 400 days gives you 5 short stories, you can play in any order. I started with Vince who after committing a murder is on his way to prison when the outbreak occurs. You have to make a choice on which prisoner you want to sacrifice so you can escape. Next I went for Bonnie who is a recovering drug addict, she is chased through a cornfield & ends up killing one of the people who has helped her. Next I chose Wyatt’s story, he & his friend Eddie are being chased by someone when they hit someone, they stop to investigate but Wyatt has to leave Eddie behind because the mad man who was chasing them has caught up. Russell’s story starts with him walking the side of the road & is picked up by Nate, they arrive at a truck stop & are shot by the inhabitant. You then work your way around & have the choice to kill the shooter or not? The last story is that of Shel & her sister Becca who are in a group that live in the Truck stop from Russell’s story. You are forced to make a couple of deciding decisions on the fate of two people. The story then breaks to Tavia who is out on the road looking for survivors, it is her who is looking at the notice board at the start of the game. She follows some nearby smoke to a campsite where all of the previous characters are stationed. Following conversations some decide to leave with her & some don’t. Firstly disappointed that the ending of season 1 where Clementine is looking at a field and notices some people (walkers) does not get mentioned, maybe that will link somehow to the people who stayed behind at the camp? 400 days is very short easily finished in an hour but I’m hungry for more so come on Season 2 !! I have never completed a point & click (join the dots) game, started a few over the years but always got bored with the gameplay element or the story has not been interesting enough to keep me interested. Walking Dead had an advantage in its favour because I do enjoy watching the tv series & the game did not disappoint. You play as Lee and are on your way to jail when the zombie outbreaks starts. After running into a house to get away from some zombies you bump into Clementine & then begins your story. I don't want to spoil the game any further but just like in life your choices matter. Looking forward to 400days the filler between season 1 & the next season of the game. After Lego City, Journey & now Walking Dead, all three very impressive games offering new or improved experiences. Now it’s time to drive with Forza Horizon.